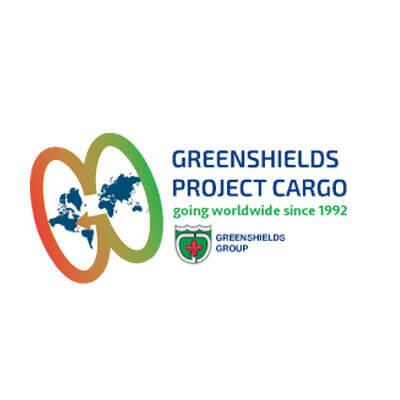 Greenshields Project Cargo become part of a worldwide network of professionals, who operate in the neediest and most difficult to reach areas as well as the all inclusive service in the last mile, Thanks to the experience and expertise absorbed over the years. We Never Abandon You: Our Team is Always Close to You. You will have your own contact who will assist you in every stage of the shipment. Our Team will offer you a comprehensive and tailor-made consultancy, from the transportation planning phase to the arrival of the goods. We guarantee the delivery times that we estimate with you. If necessary, we take care of the most suitable packaging materials for your goods. We assist you in the negotiation, preparation and delivery of all shipping documentation and insurance. We handle quotations for difficult destinations. We monitor and track your goods via satellite and inspect your goods with on-site surveillance. Our team is specialized in delivering goods to the last mile, often the most critical phase of each transport. Our Executives are always standing by to discuss the best solutions for you. Travel are never a direct line… we assure you. 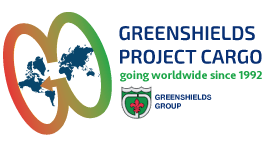 Greenshields Project Cargo is dealing with the shipment of goods and supplies related to the Mosul Dam renovation project, won by an important italian company. Shipments are carrying out by truck, reefer (for foodstuff transport ) or by containers, with armed escorts in the Iraq section, for safety reasons. The airfreight consignments are usually delivered via Erbil airport. The offered service is a door to door one: from the containerisation in our warehouse to the final destination, including all the customs import and export procedures. Finally, we also carry out shipments to Algeria, Mongolia, Zambia, Nepal, South Africa, Afghanistan, Armenia, Azerbaijan, Georgia, Kazakhstan, Kyrgyzstan, Turkmenistan, Pakistan, Bangladesh, North Korea, Botswana, Namibia, Malawi, Swaziland, Mozambique, Madagascar, Zimbabwe, Congo, Eritrea, Niger, Sudan, Central African Republic. Greenshields Project Cargo is in the Bono Energia’s Shipping Vendor List since more than ten years. Cristiano Boldrini – Operations Manager – VER-MAR S.R.L. Greenshields Project Cargo srl is one of our main logistic provider since many years. Willingness, Expertise, problem solving attitude are the basic features of their service.